This article originally appeared January 12, 2012 at www.citizen-usa.com. I wanted to post it here as I will start taking a look at how my outlook for the year is panning out, and how I may be adjusting our client portfolios. After a multi month hiatus, I hope to be back as a regular contributor here at Citizan-USA.com. The last half of last year got a little crazy, both at work and at home. Net, everything was good, just too many distractions to keep up with the blog. On the business front, I did add MarketWatch.com to my writing work. 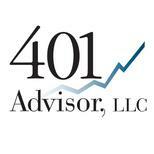 At MarketWatch I write regularly for their “Trading Deck” feature and write specifically on dividend investing and the strategies we incorporate at 401 Advisor, LLC. After 25 years in business, it is nice to be recognized as an “expert” in one of the areas of investing that I am very passionate about. With that, I have procrastinated enough, it’s time to layout my outlook for 2012. While I’m probably obsessing way too much over this, as no one will really remember a thing in this blog by the end of the year, my current outlook is relevant to our current clients. Our current strategy’s allocations do depend quite a bit on the near term outlook for the markets and global economies. (We’re pretty much “fully” invested, but sleeping with one eye open!). But first, I have to take a quick look back at January of 2011, and see how my predictions panned out. My “Outlook 2011” article can be found here. 1. Earnings are key and momentum is positive. What Happened: Earnings growth stayed strong through the year, but did decelerate. 2. Fed and Federal stimulus would prop up the market. What Happened: After the early drop, the markets were whipsawed, mainly on the news of the day from Europe. But money printing came to the rescue, this time by the ECB instead of the U.S. Fed, and the market came back to a breakeven point by year end. What Happened: The Federal Reserve predicted GDP for 2011 would be between 3% and 3.5%. I predicted 2.5%. While actual GDP is not yet known for the 4th quarter, through the first three quarters GDP growth has averaged 2.2%. Latest unemployment came in at 8.5%. 4. Stock market would rally into second quarter, however things got “foggy” for the second half with all the international economic concerns. And investor would likely have to endure a fare amount of pain to realize nominal gains. What Happened: The market did rise just over 10% by mid-May, however stock market investors had to endure a 20% drop, to finish the year with a virtual 0% return (based on the S&P 500). So, over all a pretty good track record for last year. But that’s not the purpose of rehashing old news. The point is not to see what was right and what was wrong, but why, and how we can do better for this coming year. So here is my outlook for the year to come. 1. Let’s start with the earnings. Forget all the noise from the talking heads, the stock market will follow earnings. This could be my downfall for the year’s predictions, as earnings are still growing, but at a slower pace. Slowing earnings growth is a red flag and could doom a stock rally before it really gets going. Prediction: Earnings will be “choppy” but overall positive for the first quarter. However, guidance will suggest optimism for the second quarter. Earnings growth will bottom in the first quarter and then accelerate, albeit modestly into the third quarter. 2. Official Fed Reserve stimulus will be minimal. Prediction: While the administration will spend what they can prior to the election, very little of any kind of legislation will get through congress. However, the big wildcard is Europe. Greece is a mess, stores are running out of products, pharmacies can’t even get aspirin on their shelves. Greek unemployment will continue to skyrocket. The ECB will be guilted into action and we’ll see their printing presses going at full bore. The ECB stimulus will be enough to keep Europe’s problems from pushing the rest of the globe into a recession…for 2012. 3. GDP growth will accelerate through the first three quarters, back up to the 3% maybe even 3.5% range. Prediction: After 3 years of subdued spending, pent up demand for cars, appliances, home improvements…consumer spending will surprise most pundits to the upside. Three years of recession, $4.5 trillion in Federal deficit spending, and $2 trillion of Federal Reserve stimulus is enough time and money for the economy to start coming around. All recessions eventually end. Prediction: Through the first three quarters this will be the year of U.S. economic re-emergence. Earnings will be good, stock market valuations are reasonable, and (and this is the big factor), there will be just no other reasonable place for global investors to put their money, other than in the U.S. Certainly not Europe, China will see economic improvement but political turmoil, emerging markets will do ok, but global growth will be too tepid to see a boom in commodity prices that drive most emerging market economies. Expect a choppy market with a modest pre-election gain. We’ll finish the year with a 20% plus gain in the S&P 500. 5. Ok, it’s an election year, so just for fun here is my election wrap up. The stock market and GDP growth look good through the first two quarters. President Obama’s approval ratings rise enough to quell any movement to add Hillary Clinton to the ticket. However, the U. S. dollar has risen throughout the year, killing exports and causing congressional rumblings about trade sanctions against China. Oil prices are spiking due to the turmoil in the Mideast and third quarter GDP estimates are getting chopped. Republicans campaign on images of Greek riots as “the U.S. future” if we don’t reign in spending. Ron Paul has enough delegates to influence the GDP platform. Voters are just starting to get comfortable with the recovery, and vote for Romney partially due to some “isolationist” type language added to the platform by the Ron Paul camp. Romney wins in a close election. Obama just can’t rally voters for the large turnout he needs for re-election. In hindsight he should have added Hillary. (If Mrs. Clinton does join the ticket, he wins in a landslide). The one thing I am absolutely certain about, is that this will be another “crazy” year. Things aren’t settling down. We will have plenty of news to digest and argue about on a daily basis. With that, it’s time to get back to work.